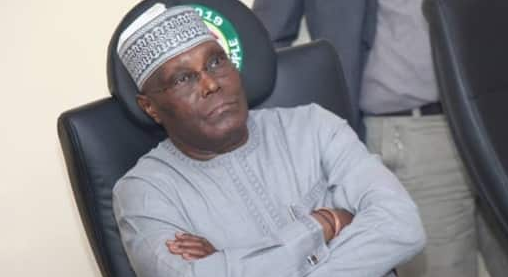 A group identified as the Coalition of Minority Tribes in Nigeria has called on Atiku Abubakar, PDP presidential candidate to apologise to Nigerians and return to Cameroon or seek naturalisation. The group made the demand following the claim of the APC that Atiku is a nationality of Cameroon and not a Nigerian. The group said what Atiku has done by concealing his identity is tantamount to crimes against humanity and that he must tender an unreserved apology to Nigerians. Addressing a news conference on Monday, Abdulmuminu Hassan, secretary-general of the group said Ibrahim Babangida, former head of state, refused to appoint Atiku as the comptroller-general of the Nigerian Customs Service because he realised the true nationality of Atiku. The PDP candidate is a retired customs officer. Hassan gave Atiku a 21-day ultimatum to return to Cameroon to reunite with his family members. 'This same scenario could also be the reason why former President Olusegun Obasanjo refused to allow him to succeed him as President of Nigeria in 2007. We are therefore constrained to state that it is such a shame that the Nigerian authorities have allowed such a sham fester for decades without detecting, and thereby causing Nigeria and Nigerians the opportunity to develop her country the way Nigerians would do. The Conference of Minority Tribes in Nigeria is indeed alarmed that the paternity of Alhaji Atiku was unlet undetected and he aspired and held the number two position of Vice President in Nigeria. His consequent actions while he was Vice President of Nigeria tells of a man who was hell-bent on destroying the country. The Conference of Minority also wishes to advise Alhaji Atiku Abubakar to in an alternative solution seek naturalization as a Nigerian by applying to the Federal Ministry of Interior in Nigeria. This way Nigerians would forgive him for his sins and show him understanding since he has lived the better part of his life in Nigeria. Though at a great disservice to Nigeria.